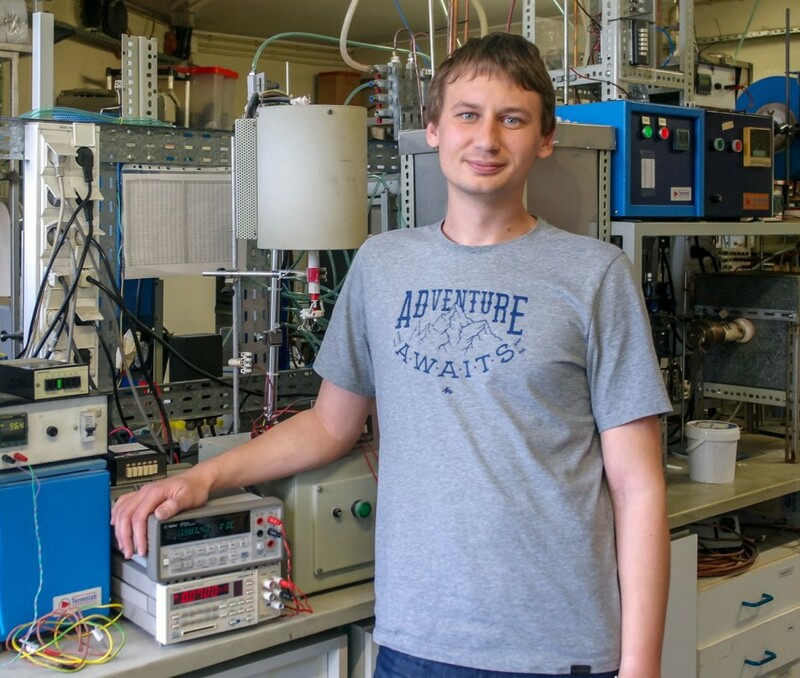 Maksim Starykevich has been awarded with the Young Researcher in Electrochemistry 2017 Prize from the Portuguese Electrochemical Society, for his contribution in the field of Electrochemistry. The award is aimed to stimulate the scientific research in Electrochemistry in Portugal, and is based on the relevance of scientific publications in journals of recognized quality and impact, and their acknowledgement by the international scientific community as reflected by bibliographical citations. After graduation in industrial Chemical Engineering (elastomer technologies) from the Belarusian State Technological University,(Minsk, Belarus) in 2011, Maksim Starykevich (29 years old), joined the “Surface engineering and corrosion protection (SECOP)” group (DEMAC/CICECO) under supervision of Prof. Mário G.S. Ferreira. He obtained PhD degree in Materials Science, with distinction, from the University of Aveiro in July 2017. During that time, the research activities of Maksim Starykevich were mainly focused on the electrodeposition of metals from ionic liquids in porous anodic templates. In parallel with porous anodic oxides, he actively investigated diverse anodic coatings for the corrosion protection. Since October 2017, Starykevich joined the Solid State Ionics laboratory (DEMAC) within Materials for Energy and Functional Surfaces research group, CICECO, as a post-doctoral researcher. Currently, his research activities are focused on the preparation and characterization of novel molten carbonate/ceramic composite materials for CO2 capture. The award ceremony will take place during the next meeting of the Portuguese Electrochemical Society which is to be held at the Municipal Library Almeida Garrett, Porto, from 2 to 4 May 2018.